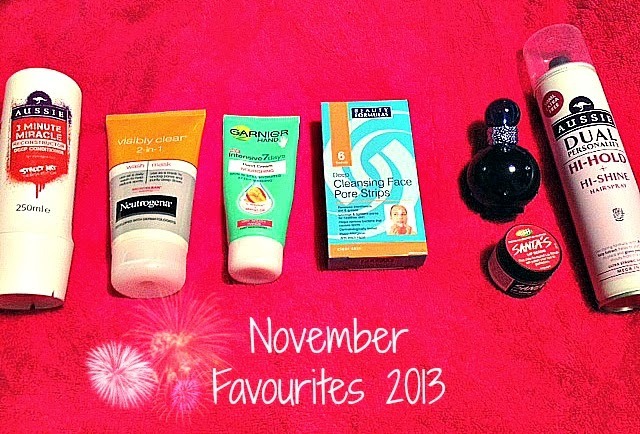 It’s the first of December which means its time for November favourites:D also, countdown to christmas begins, wooo! I don’t allow myself to get excited about christmas until December, so it is now acceptable. Anyways, this month you may notice I don’t have any makeup favourites, this is as I literally did the same with my makeup every day, and it was using products I always mention so I didn’t see much point. ANYWAY onto the favs…. This is my holy grail face wash, and I haven’t mentioned it in a while! I use this at night with my Clarisonic, and I find it really cleans my face well. This is perfect to use if you have a clarisonic, or a face brush however it still works well on its own. I don’t really use this as a mask, but it keeps my breakouts to a minimum, and leaves my face feeling fresh. My hands are always dry as I always have to wash my hands. Seriously, I wash my hands in the morning about 5 times, every time I come home from college, I just like to wash my hands. I promise I have not gone crazy! Anyway, this makes my hands even worse so I always use hand cream before I leave in the morning, and before I go to bed, and what I like about this in particular is it is really quick to absorb and doesn’t leave your hands feeling sticky. Also it smells amazing! It doesn’t last 7 days but I dont really mind. When my sister and myself were younger, we always used to get given Britney Spears perfumes, she got the pink bottle and I got this one. I saw it on offer in boots the other day and I had to get it. It’s one of those perfumes that brings back memories and I love that. Also, even though it is a celebrity perfume, the scent lasts all day which is pretty impressive! I was in need of a new hairspray this month, and for me as I rarely use hairspray I wasn’t too fussed about what type it was. This one was on offer, so I just picked it up, as it claimed it would last a long time and make your hair shiny. I love this though, because it doesn’t smell gross like most hairsprays, it has quite a fruity smell and it isn’t overly sticky. I have had quite a few random fav’s this month, so I thought I’d cheekily throw those out there. 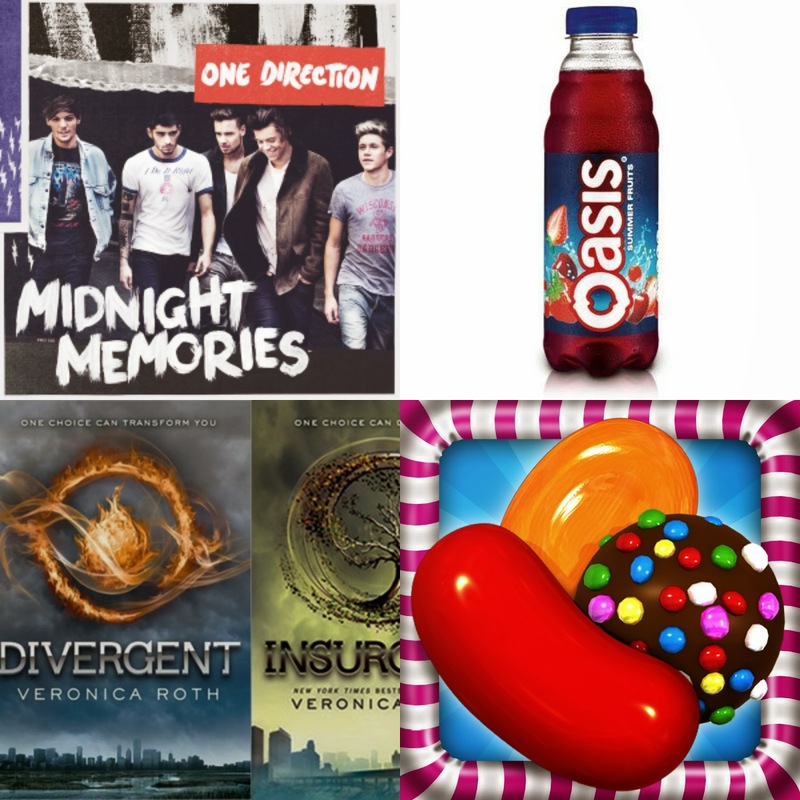 One D’s new album came out this month and I have been loving it! In particular my fave songs are Happily and Diana 😀 I listen to this everywhere, on the bus, at home, when I’m in college, when i’m in the shower. It’s a good album, and it sounds very different to what you’d expect, but it suits them a lot. Admittedly, I am a tad late on the candy crush bandwagon, but I love it. I might not be the best at it but it’s a great way to procrastinate 😉 haha! It is really addictive though, so beware! SIDENOTE: I LOVED CATCHING FIRE AND I FORGOT TO MENTION IT, BUT I HAVE SEEN IT TWICE, ITS AMAZINGGGGGGG. sorry. So thats me done with the November Fav’s, roll on Christmas!